Our #1 choice is WPEngine. All they do is WordPress hosting, and they are the best, fastest, and most secure and they have excellent customer service. There are many providers that offer bottom dollar hosting. If you are looking for the cheapest web host to run your WordPress sites, prepare to be hacked, run out of bandwidth, and possibly have your site shut off when you max out your allotted amount of monthly traffic. Is that worth saving a few dollars a month? 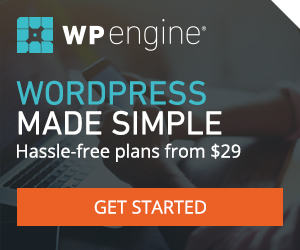 In hosting you get what you pay for, and with WP Engine you get a lot. They take the SysAdmin work out of hosting your WordPress sites and allow you to focus on development and content instead of updates and maintenance. It’s an entirely different way to host.